There have been bridges spanning Lake Quinsigamond, connecting Worcester and Shrewsbury, Massachusetts since the early 19th century. The first bridge in the area, built in 1806, was a structure made of wood logs that floated on the lake. This was replaced by a series of short-lived structures that included a causeway, another floating bridge, and the concrete suspension bridge that was built in 1916 and survived into the 2000s. At long last, though, the single, concrete, open spandrel arch bridge has been retired and replaced. 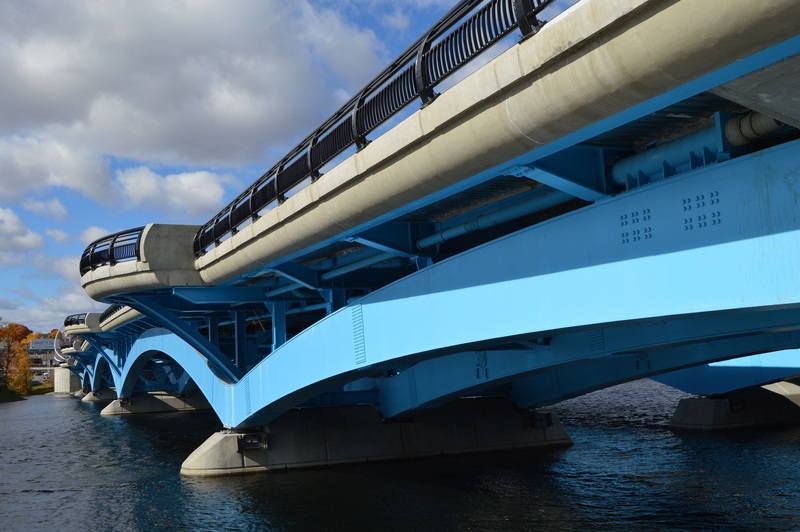 Today, residents and tourists can enjoy the latest in a long line of bridges to span Lake Quinsigamond: The Kenneth F. Burns Memorial Bridge, winner of The American Public Works Association (APWA)’s Public Works Project of the Year. 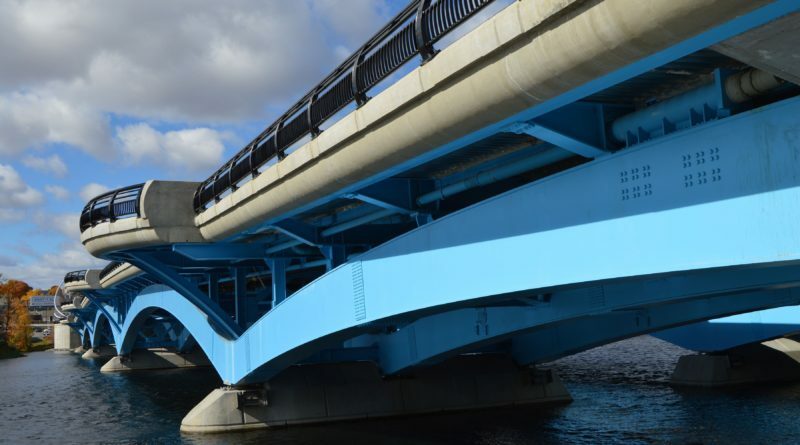 The design of the new bridge reflects on the grace of its predecessor while incorporating modern designs that increase its capacity and utility. It is made up of two separate five-span, open spandrel, steel deck arches supported by concrete abutments and piers, which are set on deep-pile foundations that boast a design life of 75 years minimum. The twin structures can easily accommodate the 55,000 vehicles on average that make up the daily eastbound and westbound traffic on Route 9. The newly built Kenneth F. Burns Memorial Bridge includes additional travel lanes, turning lanes, bike lanes, oversized sidewalks, overlooks, seating areas, kiosks with historical information, and a raised design to offer boaters greater clearance. 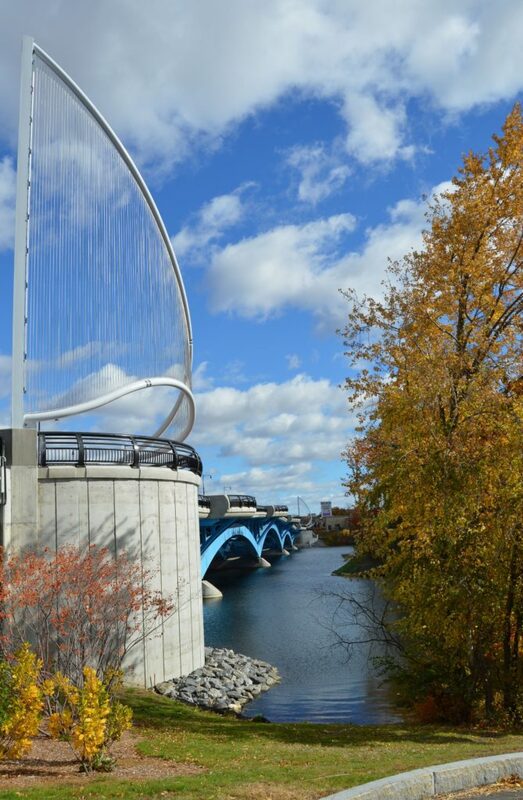 The bridge also includes steel “sail” sculptures that mark all four corners of the bridge and pay tribute to the lake’s history. These thoughtful design details are visible to drivers as well as to those viewing the bridge from a distance. 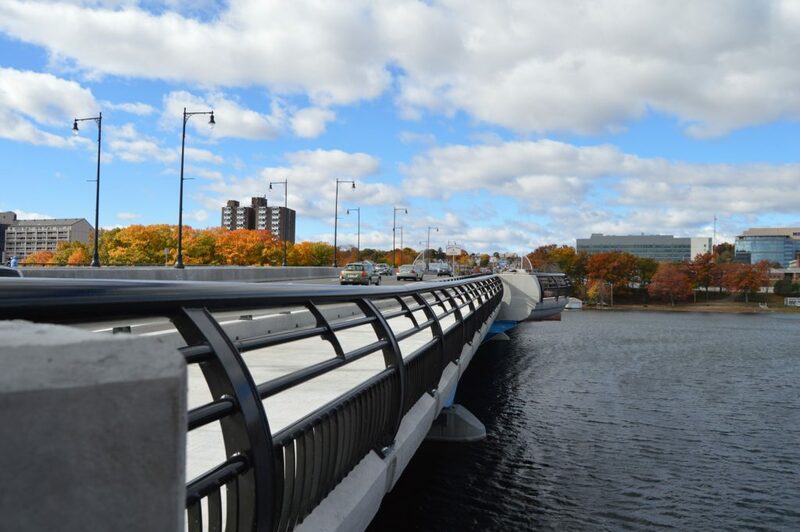 The Kenneth F. Burns Bridge doesn’t just improve traffic, it improves the view with its steel sail structures and beautiful arches that grace Lake Quinsigamond and even light up at night! 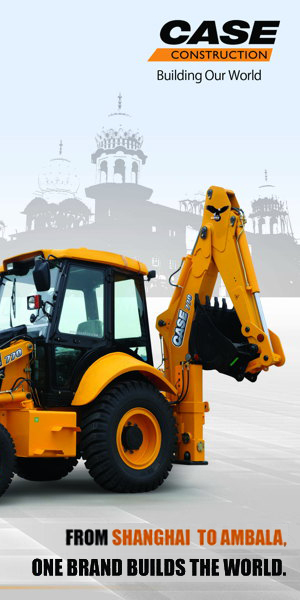 The project was secured through a design-build delivery method, and the preliminary bridge design was completed with most of the permitting in place before being handed over to the design team who began work on completing its final design over the course of a few years. 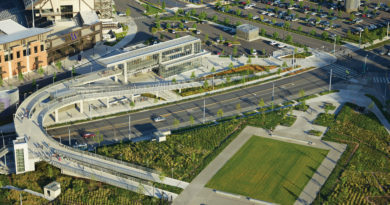 Stantec used several different technologies and design approaches to ensure the seamless guidance of the project’s development. 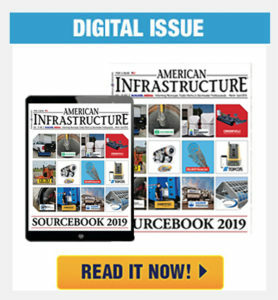 These included: 3D visualization and animation; design of perched piers to reduce environmental impacts on Lake Quinsigamond; and the utilization of complex 3D staging analysis and full bridge staged post-tensioning to optimize the project design. These unique methods also helped the project team address their greatest challenge in designing the bridge’s unique structure within a tight time frame. “Public reaction has been very positive,” Brenner explained. “The bridge has quickly assumed a role of infrastructure icon for central Massachusetts, appearing on websites and advertisements as a physical representation of Worcester.” Brenner upholds that one can pick up on how positively the public feels about the bridge by simply walking around nearby Quinsigamond State Park. The award winning Kenneth F. Burns Memorial Bridge acknowledges a history that began in 1806 and continues today with a totally new style, thanks to its recent reconstruction. 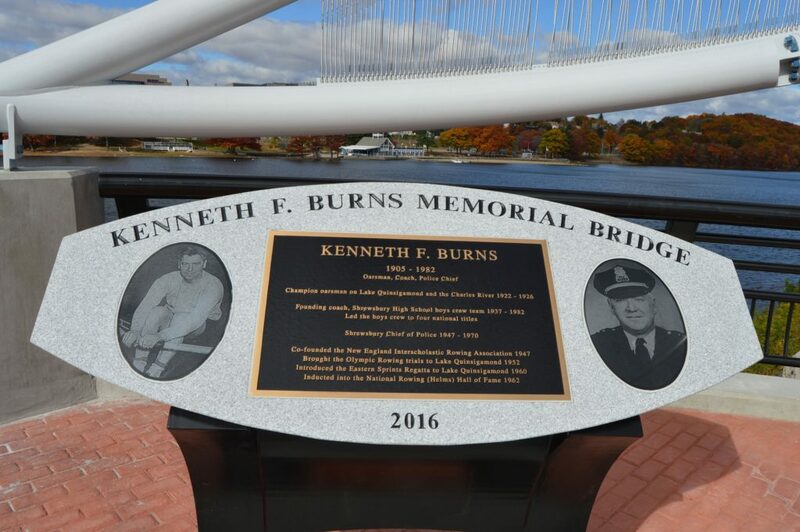 The Kenneth F. Burns Memorial Bridge has helped the surrounding community in multiple ways beyond providing a new landmark which doubles as a stunning representation of the town. The creation of the bridge provided numerous jobs as well as long-term transportation upgrades that have improved Route 9traffic. Residents can also enjoy improved water quality at Ramshorn Island. The project also helped to improve the flow of water which breathed new life into the lake and the surrounding area. Additionally, the facilities and grounds of a nearby housing property, Lincoln Towers, were improved to such an extent that residents are now able to sit outside and enjoy views of the bridge and its newly landscaped grounds. Further, “off-bridge” improvements also include a new roundabout, improved utilities and other features. The bridge is composed of two twin, five-span, open spandrel, steel deck arch structures that easily accommodate drivers, cyclists and pedestrians. 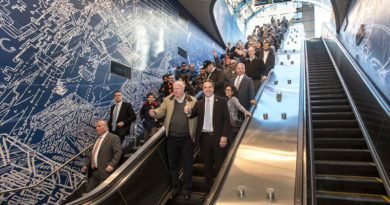 Brenner opined that the most notable aspect of the project was the collaboration between the project team, the Massachusetts Department of Transportation, which played a vital role as the managing agency for the project, and the local community. 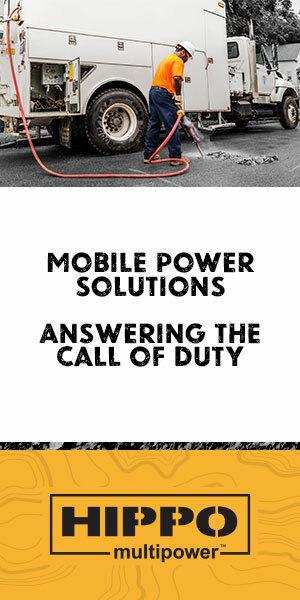 The sense of teamwork was strong throughout all phases of the project. What’s more, the local community was deeply fond of and appreciated the old bridge, and was strongly involved in the design of the replacement. 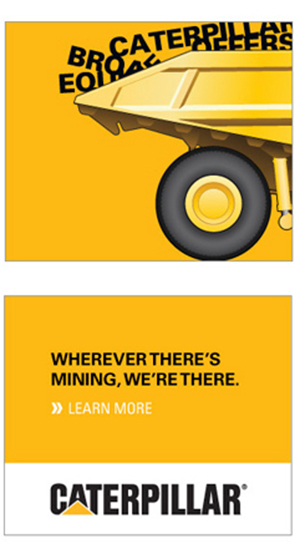 “Our team is proud to have played a role in not only creating a highly functional transportation solution for this community, but also in delivering a project that complements this setting and will become a long-term asset for the area,” said Brenner. The replacement of the old Burns bridge with the new Kenneth F. Burns Memorial Bridge is just one of five mega-projects that are part of a proactive state program focused on improving and replacing deteriorating bridges in Massachusetts. Thus far, the state has been successful in reducing the backlog of bridgework, however, challenges still remain due to the complications of aging infrastructure.